Installing and maintaining smoke and carbon monoxide (CO) alarms can save your life. Luckily, they’re inexpensive and easy to install. Basic smoke alarms start at $15, with CO alarms costing $35 and up. Newer models offer more features. 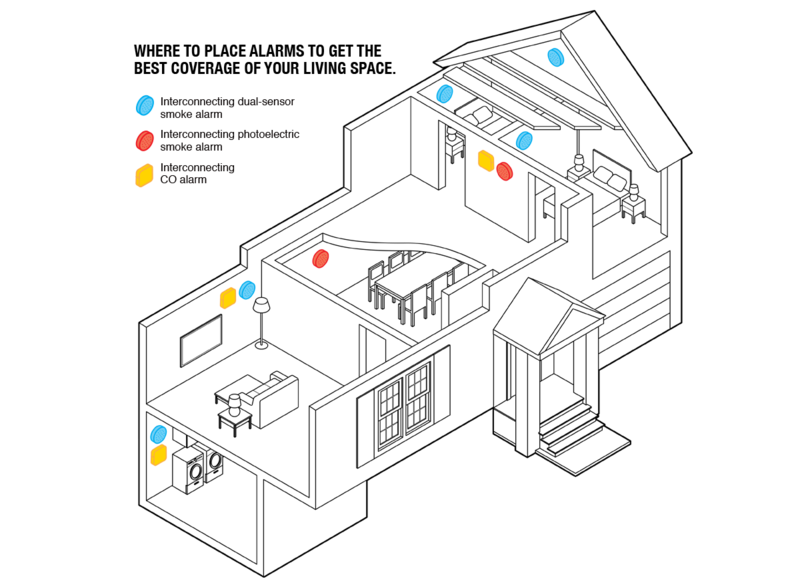 For example, interconnected smoke alarms communicate between devices and provide integrated, whole-house protection. Whether the alarms are hardwired or wirelessly connected, with such a system when one alarm detects smoke or CO, all of them will sound. Do You Really Need Both a Smoke Alarm and a CO Alarm? Before you shop, check regulations in your region. What you need, including types of alarms and their placement, can vary. Also, some insurance companies offer a 5 percent discount for homes with smoke alarms. Fires burn differently: Some flare, some smolder. Make sure you purchase a smoke alarm that can detect both types of fires. Ionization Smoke Alarms are best at detecting the small particles typical of fast, flaming fires but in our tests, all tested poorly for detecting smoky, smoldering fires. Ionization units are prone to false alarms from burnt food and steam, so don’t mount them near a kitchen or bathroom. Photoelectric Smoke Alarms are best at detecting the large particles typical of smoky, smoldering fires but poor at detecting fast, flaming fires. Photoelectric units are less prone to false alarms from burnt food and steam, so you can install them safely around the kitchen or bathroom. Dual-sensor Smoke Alarms combine ionization and photoelectric technology to save you the hassle of installing two separate smoke detectors. But you will still need to install Carbon Monoxide units. The BRK’s patented OptiPath 360 Technology provides 360 degrees of direct access to the smoke sensor, and installation is easy and cost effective. 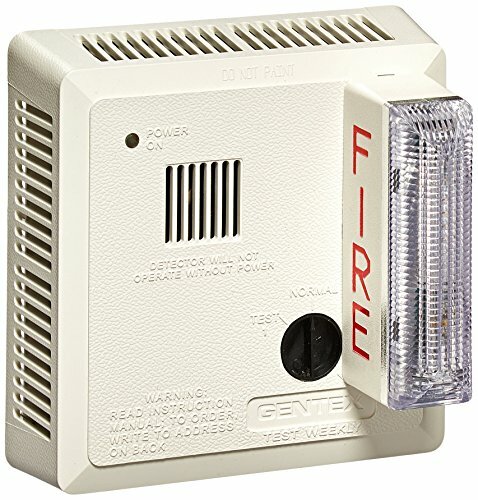 If you need a Hearing Impaired Smoke Alarm, I recommend the Gentex 710, which has a visual alarm light. It’s available in plug-in or hard-wired. Currently no single smoke or CO alarm on the market does it all. A few alarms combine ionization and photoelectric technologies to cover both types of fire, but they don’t detect CO.
And those that combine CO and smoke detection are effective for one type of fire, but not both. The challenge to manufacturers: Produce a single device that senses both kinds of fire and CO. Until then, combining various types of alarms offers the best protection. 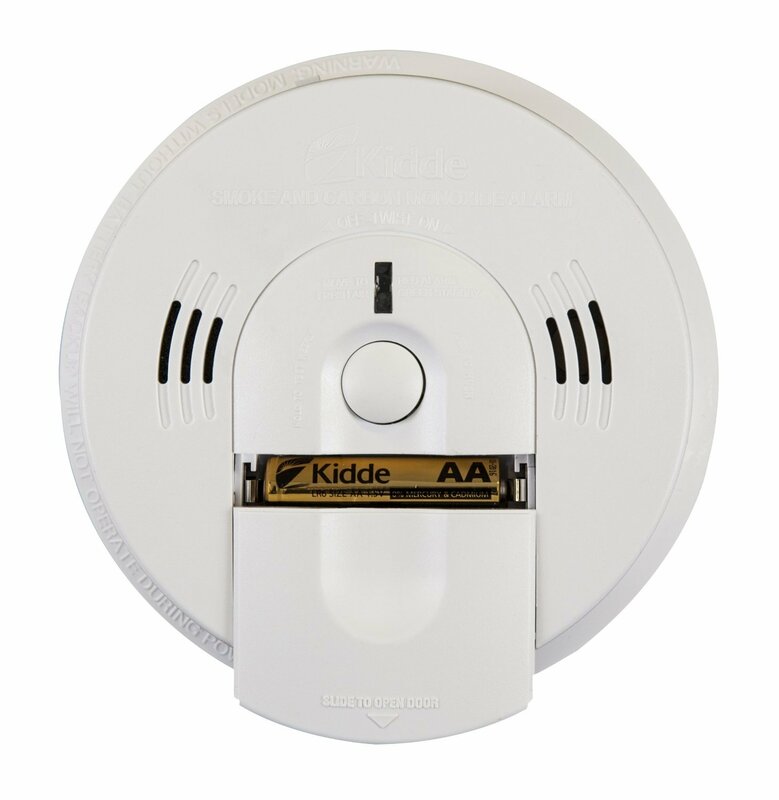 If you need both smoke and CO alarms, however, and are planning to buy a combination detector, the Kidde KN-COSM-BA (which uses ionization technology) is a practical and cost-effective choice. It includes a voice warning system that makes four announcements: fire, carbon monoxide, low battery, or smart hush activation. The voice alarm eliminates any confusion and clearly warns you and your family of a smoke or carbon monoxide danger, or if your battery is in need of replacement. Remember, though, that both ionization and photoelectric smoke alarms should be installed to help ensure maximum detection of the various types of fire that can occur within your home. 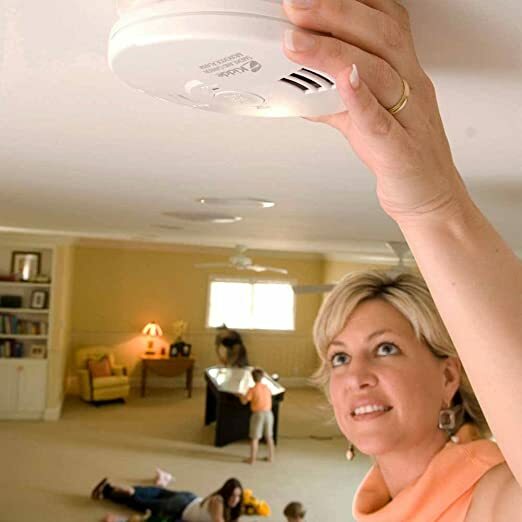 The latest smoke and CO alarms have added features to better protect you and your family. Here’s what to consider when tailoring the safest combination of alarm options to your household’s needs. Hard-wired smoke and CO alarms tie into your home’s wiring and require professional installation. Battery-only alarms are simple to install, and they work during a power failure, but most batteries require annual replacement. (Lithium batteries may last the life of the alarm.) Plug-in alarms are available, but electric outlets are typically located low on the wall, while the optimal placement for the alarm is on or near the ceiling. A backup battery for hard-wired smoke and CO alarms offers security in case of a power failure. 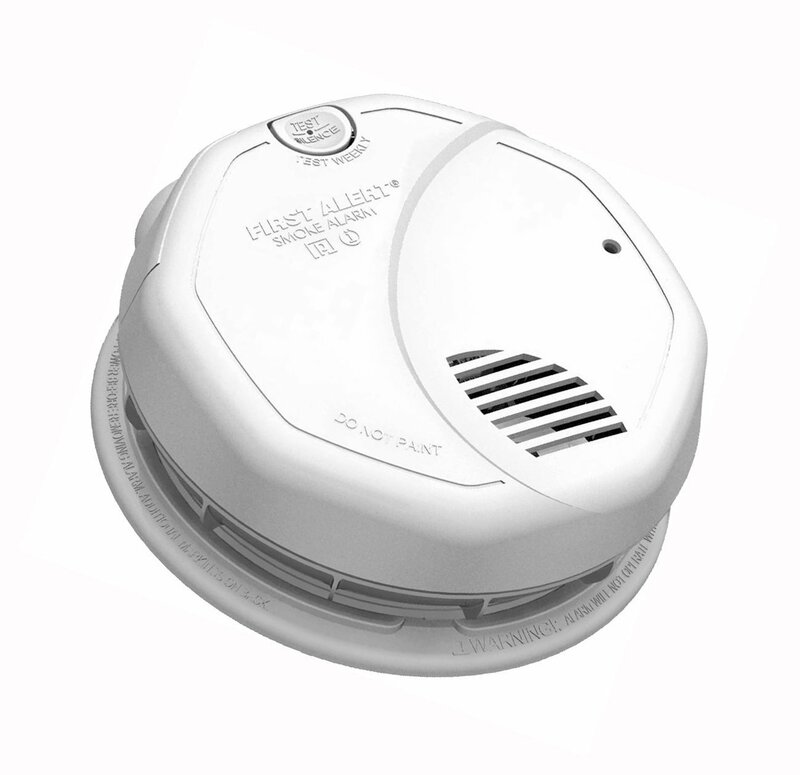 All battery-powered smoke and CO units warn you when the battery is low. Some provide warning chirps, a low battery voice message, or a visual display. You can link some smoke and CO alarms so that all units in the house sound an alarm when any single one is triggered. Some newer homes have wiring already in place to link the alarms. In a home without such wiring, you can buy alarms that interconnect wirelessly. Interconnecting alarms are an important safety feature in a home with multiple levels. A standalone alarm may be adequate for a small, single-level home. This feature displays CO concentrations in parts per million, even when the concentrations are below the level that triggers the alarm. CO alarms certified by UL must go off at no less than 70 ppm, but as little as 30 ppm can harm heart patients, pregnant women, and children. The display can alert you if the CO level is inching up or is higher than usual. Some also show the peak level since they were reset, warning you of any spikes that occurred while you were away. Expect to pay a little extra for this feature: $5 or $10 for standalone units, slightly more for units that can be interconnected. To silence a nuisance smoke alarm, pressing a hush button is more convenient than disabling the unit, and it avoids the possibility of forgetting to turn it back on. All the smoke alarms we tested had this feature. Some CO and combination CO/smoke alarms can work with a remote control to silence a nuisance alarm. • Strobe light alarms are the best warning for the hearing impaired. Some smoke alarms have an integral strobe light, and some accept add-on strobes. • Voice alarms. Children tend to sleep deeper than adults and may not awaken to a beeping sound. Some smoke and combination CO/smoke alarms use a voice command, but it’s not confirmed whether that’s the most effective way to wake children. According to one study, many pre-teenagers who slept through tone alarms awoke to the sound of their mother’s prerecorded voice. Overall Security Systems: You can incorporate some smoke and CO detectors into a system that sounds an alarm outside and inside the house. It can also have a monitoring service notify the police or fire department or even call your cell phone. Smoke and CO alarms are only protective when installed correctly and if their batteries are replaced annually. 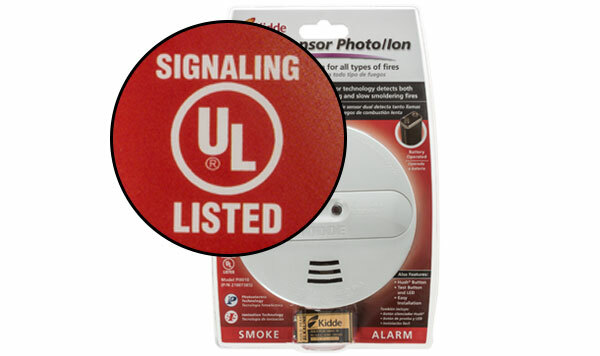 Check the package to make sure smoke alarms and CO alarms meet Underwriters Laboratories Standard—look for the UL label. Also look up the date of manufacture printed on the back of the alarms. Devices lose their sensitivity over time, so the fresher, the better. Smoke rises, so mount smoke alarms on the ceiling or high on the wall. Test smoke and CO alarms weekly and vacuum them monthly. Follow the manufacturer’s recommendations regarding battery replacement. Replace CO alarms every five years and smoke alarms every 10 years. CO alarms should be installed outside of each sleeping area of a house, each level of the house, and in the basement. If your CO alarm is a plug-in model without a cord, it needs to be plugged directly into an outlet. Make sure the outlet is out in the open and not behind furniture, curtains, or other objects that could restrict air flow. 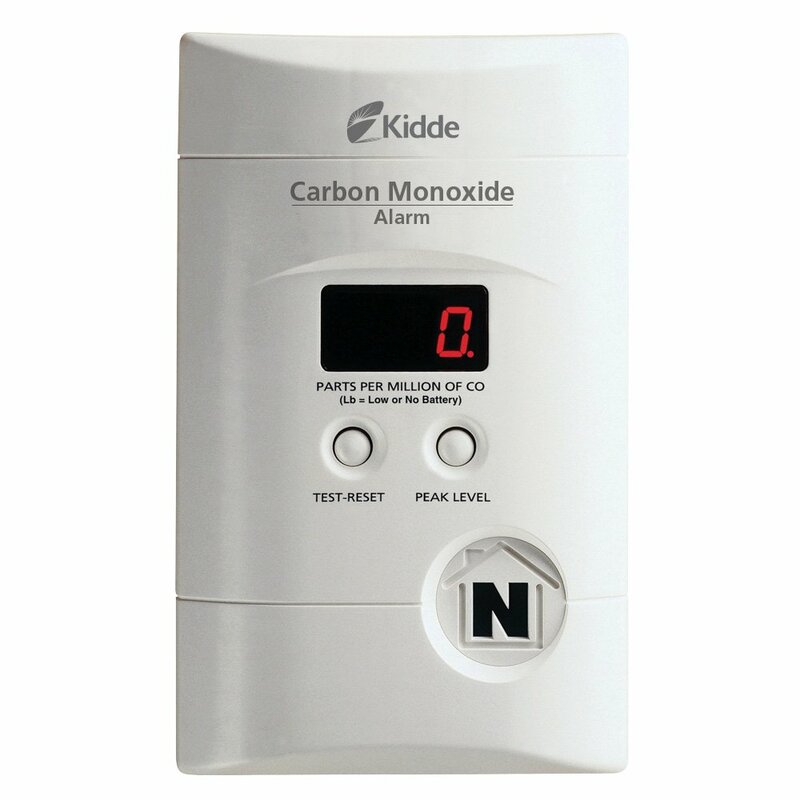 Carbon Monoxide alarms with a digital display should be mounted at eye-level so they can be read easily. If the CO alarm is battery powered and doesn’t have a display, it can be mounted anywhere on the wall or ceiling except within four inches of where the wall meets the ceiling. Air doesn’t circulate freely at that level, which will delay the alarm response. There’s also a difference between rechargeable extinguishers, with metal valves, and disposable ones, which have plastic valves. A rechargeable one will cost more, but refilling it once the pressure gauge shows that use or time has depleted the contents is still less expensive than buying a new disposable one. The National Fire Protection Association (www.nfpa.org) recommends an extinguisher for each floor. But no matter how many you have, nothing can substitute for the most important safety tool: a fire plan. Make sure everyone in the family knows how to get out in a hurry, where to meet outside, and how to call 911. Even if you think you’ve put out the fire on your own, don’t cancel that emergency call. Leave it to the pros to decide if it’s really out. Best for: Garage or home workshop, where a fire might grow in size before being noticed. Look for: Rechargeable model with hose for ease of use. Best for: Quick grab in the kitchen or laundry room. Look for: Disposable model with mounting hardware to keep it from rolling around in the trunk. Look for: Magnetic pressurized cans designed to pop open from the heat of flames, spraying sodium bicarbonate (baking soda). Conveniently sized and quick-acting, the Fire Gone 16 oz. 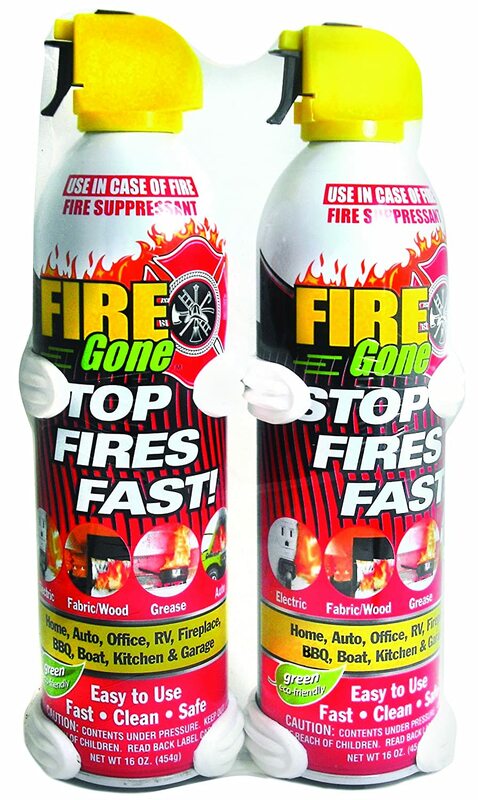 Fire Gone suppressant with bracket helps maintain safety in the kitchen, while using the grill or while partaking in any activity where fire is used. Fire safety experts advise you to learn how to use an extinguisher before an emergency arises. Check with your fire department to see if they offer homeowner training. Keep extinguishers where you can see and reach them easily, near the room’s exit. That way you can fight the fire with your back to the door and make a quick escape if flames get out of control. 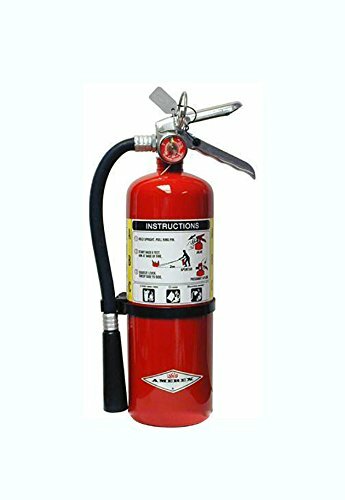 Whenever you have used an extinguisher, whether or not it is completely empty, you must replace it or refill it right away. Same goes with any extinguisher whose pressure gauge slips out of the green zone into red over time. 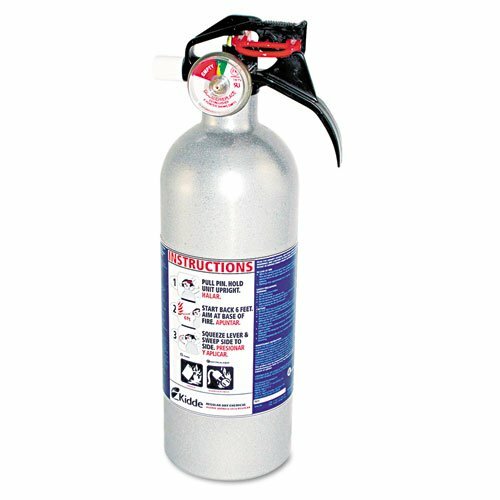 Fire extinguisher companies charge about $15 to refill a typical 5-pound A:B:C extinguisher, provided it has a metal valve. 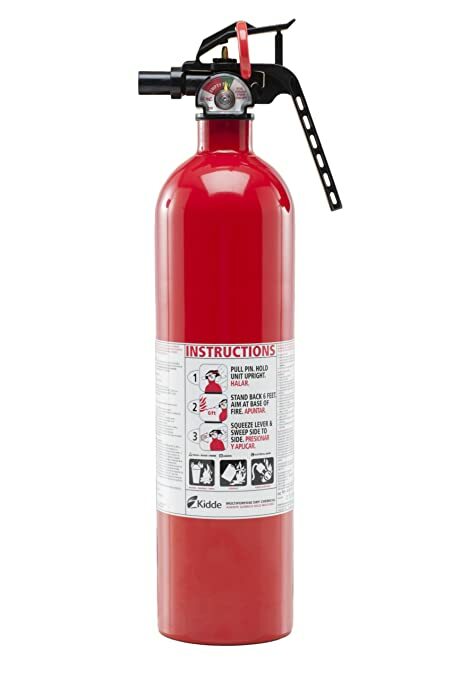 Extinguishers with plastic valves are not refillable and should be discarded after use. I didn’t know that you could a smoke detector with a voice alarm. As you mentioned, my children are deep sleepers and never wake up when our fire alarm mistakenly goes off. I hate to think what would happen if there were a real fire and if they would wake up. A voice alarm would hopefully stir them from their sleep quicker since it’s louder and more commanding. Thanks for this information!